Hi, I’m Sue. I’m very passionate about brand design, editorial and advertising. Aside from that I love to teach young people about design with a focus on concept, sustainability and execution. "Dedication is very important to me. Once I’m faced with a task I am committed to achieving the best possible results." 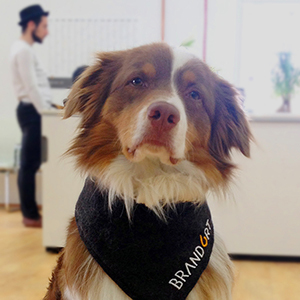 "Well-mannered and best-dressed mascot of all agencies Sue works at."